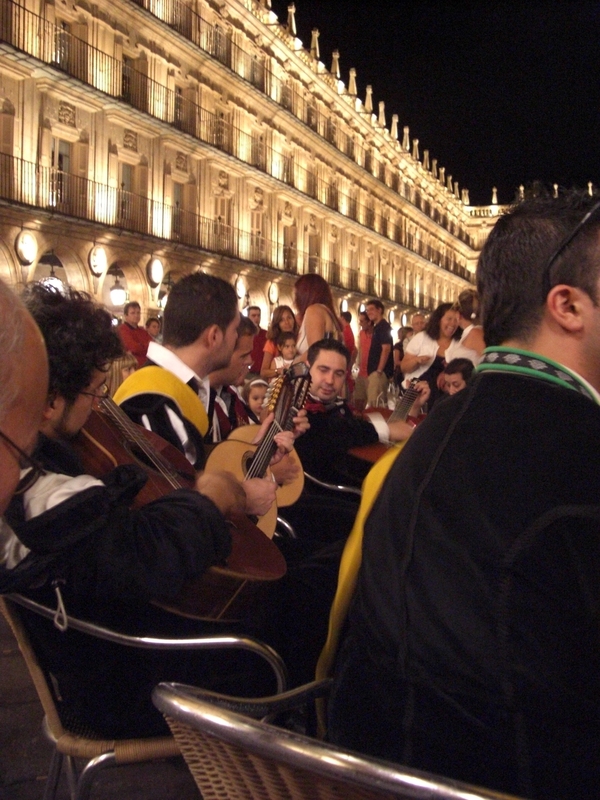 The birth of the University of Salamanca brought with it the birth of different artistic manifestations both popular and academic. One of these was La Tuna. The social disparities present at the university’s inception, spurred the students with less resources to organize themselves in order to get, with their ingenuity, everything they needed to survive and pursue their studies. In this way, the university students created musical groups of troubadours which would go from bar to bar, at weddings, festivals, and the like to get the food and money they needed. 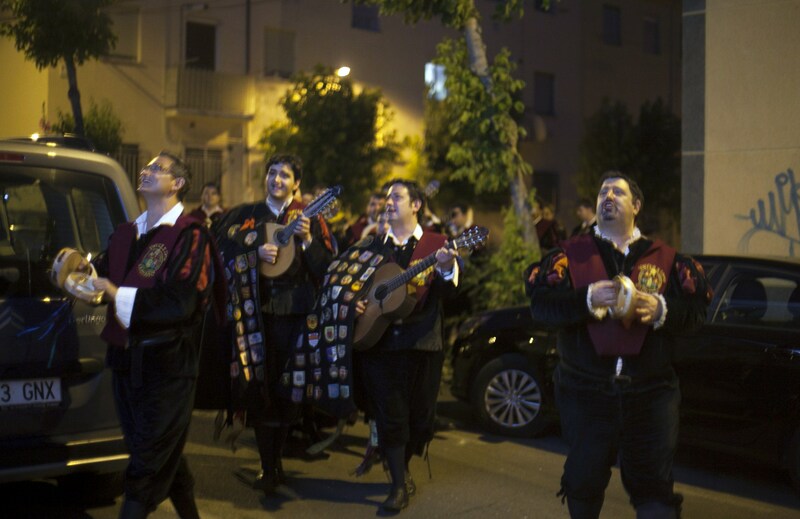 And so was born La Tuna, a tradition which has stood the test of time and today preserves the popular musical tradition not only of Spain but also of Latin America. These groups are set apart by their peculiar costumes. Tradition dictates their clothes maintain the original appearance of their predecessors, the university students of the XVIII century, with their tights, velvet pantaloons, and, most iconically, their capes decorated with colorful embroidered ribbons from loved ones and the crests of the places they have visited. Their instruments are similarly authentic, including the bandurria, a Spanish cousin to the mandolin, and the lute (both twelve stringed instruments played with a pick), as well as the more familiar guitar or accordion. It’s easy to find La Tuna playing in the local taverns around the city, though they also play at weddings and festivals, or serenading the young women of the city in an attempt to woo them with their songs. There are also conventions they attend where the different groups compete for laurels to pass the time in any number of cities. La Tuna is a great way to get an inside look at the living history of Spanish popular and musical culture, and while enjoying the music really get to know the culture.